So Jamie Oliver had a go at how families on low incomes shouldn't spend their money on massive effing TV sets but rather make a tasty dinner with 25 mussles and pasta for 60p. And then he defended himself on the One show by saying that he does more good than harm and that it was all a media outrage that wasn't to be taken seriously. As soon as I read his initial comments, I was deeply unsettled. The main reason for this is that he feeds into already well established perceptions of the poor being to blame for their misfortune. This is neither true nor helpful. Let's look at the big picture for a moment: The UK is the 4th richest country in the world, yet rife with income inequalities. We are a rich country yet 1 in 4 children grows up in poverty. Apparently the richest earn well over 250 times as much as the poorest. And there is no way that the poor are to blame for this sorry and unnecessary state of affair. It is true however that the it is in the interest of the rich to blame the poor for their own plight, so that they can defend their own position to be one of merit achieved by hard work and strive. Personally, I don't think any meritocracy can account for 263 times the income of the poorest, to me that's just greed and selfishness, and if you call me a socialist for saying this, feel free. Anyway, fact is that in an unequal society is that as long as the public opinion blames the poor and justifies the rich, the status quo can be maintained. Jamie Oliver has done just that. And that is deeply wrong, unhelpful and actually works against some of the really good work he does. It particularly pains me because I like the bloke otherwise and think he has indeed done heaps for making cooking be cool, and ensuring that our kids get decent food at school. His comments were also misled because they were patronising (he offered a hug to the poor, as if they need a hug, that's not bringing any food onto the table last time I checked) and simplistic. A massive TV? Well, maybe that was acquired before the crisis point, or given by a relative, or maybe it's the one and only item of "yes" in a life dominated by "no's" as the Guardian rightly pointed out. Interestingly, Jamie Oliver also points out that cooking from scratch is so much cheaper and better for you. I wonder why he sells a range of ready made meals then, making a fortune from them. But more to the point I would actually defy that this is the truth. With the price of fruit and veg, and even staples like rice and bread going up while prices of ready meals are going down, it is actually cheaper to get your 10 (horse) burger pack from Farmfoods. If you even want to buy organic or locally produced food, the price tag is unaffordable even for middle income families, because food is the one cost that can be controlled more than others. If you have a bill for rent, that's paid first: eviction is more serious than having rubbish food for a week. Some examples: a can of coke is less than a bottle of water. When I was a student with very little money to live off, I would eat a chocolate bar and a packet of crisps which was and still is cheaper than a sandwich. And where exactly would I pick up the mussels Jamie mentioned? They are not exactly kicking about in Glasgow. Most housing estates are devoid of any decent shops - it's your farmfoods, overpriced newsagent and chippy and that's that. No market, no fresh veg. If you want that, you need a car or an ever increasing bus return fare to get to the nearest supermarket. I'm not sure where Jamie's idea of that market stall comes from, but it's certainly not the average housing estate in Glasgow. Then there's the cost of cooking. Gas, pots and pans, even a hob are not things that families on low incomes can take for granted. Nevermind the cost of ingredients - it's nice to do it from scratch but herbs are over a pound a glass and you'll need a few of them to get you started, not exactly attractive if you can get cheap convenience food that fills your tum and tastes ok and can be cooked in 3 minutes in the microwave. Next up is the whole concept that apparently rubbish nutritioun it's a problem of the poor. Rubbish nutrition is a problem of this country, regardless of income. The rich and middle classes have the means and resources to cook well but do they do it? Convenience food is convenient for them too. Making nutrition into a class thing just misses the point. I am middle class and overweight. My diet is not the best (although it's not the worst) and like everyone else it's bloody hard to resist the ever present temptation of sugar, carbs and convenience foods. Cooking from scratch is a daily hard choice that isn't made easier by the conundrums of working family life. Kids are influenced by their peers and demand fish fingers instead of fish, baked beans instead of lentil bake, and sweetened yoghurts instead of natural yoghurt. And when your children once again tell you they hate what you cooked, the fish fingers are more than tempting because you really don't want to be wasting food again. Should I also mention that Jamie is one of the rich, who has no experience of the reality of being poor and human decency would dictated that he should keep his gob well shut about experiences he is so far removed from that he has no idea what he is actually talking about. Above all, Jamie's comments have nothing to offer other than alienating audiences and contributing to perpetuating stereotypes that need to be challenged instead. I'm sure he's done his own campaigns more damage than good (although being in the news with patronising comments is probably in the end good for his profile). Instead, he should offer inspiring and fun ways of cooking with limited resources (i.e. that don't necessitate his cook books, utensils and fancy ingredients), and just be what he's best at: contagiously passionate about food. And then, if he wants to go a bit further, how about tackling the reasons for this country's inequality and campaigning against the shame of this countries poverty statistics, for a fairer society where no child has to go hungry. Some radio station today had a feature on the word "jam". Which was quite apt as I'd spent the weekend jamming away, after our annual pick your own trip to East Yonderton Farm in Paisley. As I bought the jamming sugar, the woman at the checkout asked if it was easy to make jam, as she'd always wanted to give it a try but then though it may be too tricky. 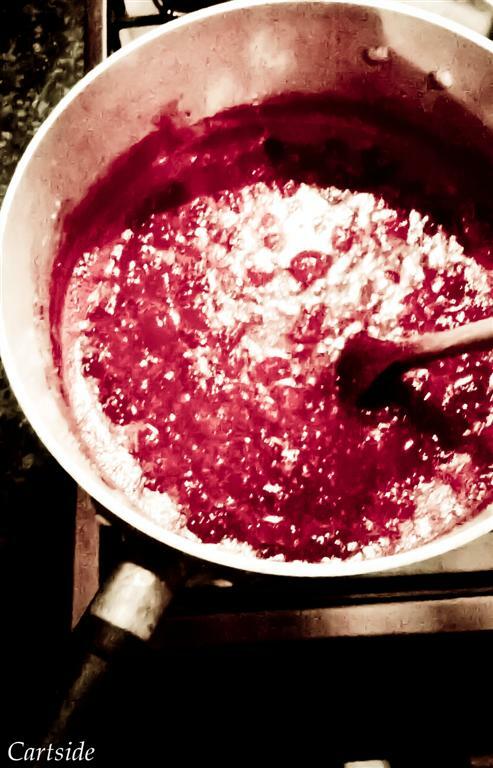 Well, what can I say, I'm not a domestic goddess, I'm no great cook, but making jam? The easiest thing in the world. Go on, give it a try, it's really simple and while not cheaper than the cheapest jam jar at your exploiting supermarket, it tastes 100 times better and you know where the fruit came from (if you did pick it yourself, which isn't actually a requirement). My favourite is rapsberry jam but I've made jam from throwing all odd fruits I had together, from my rhubarb glut when I had an allotment rather than clay soil in my front garden which the rhubarb clearly doesn't like, strawberries, brambles and the Rhineland speciality of plum spread (which is a different recipe and involves a lot more time and patience). 6 sterilised jars and lids (you can sterilise by putting them into the oven at 150 degrees for 10 mins.) I reuse jars with nice wide opening. Add fruit and sugar (and optionally lemon juice) to a large saucepan, at least twice the depth of the mixture, slowly heat until sugar is dissolved, stirring with a wooden spoon. Then get the heat on and add the butter. When the mixture is boiling vigorously, start your timer and boil vigorously for 4 minutes. You then may want to test if the setting point has been reached. To be honest, I'm not fussed about this step, Only once did my jam not set and it was still lovely, just a bit runny. But if you have to, this is how to do it: put a small plate in fridge or freezer and after 4mins of boiling, put a bit of jam on the plate, wait 10 seconds and then touch with a finger. If it wrinkles, the jam is done. If not, boil a tad longer, try again. 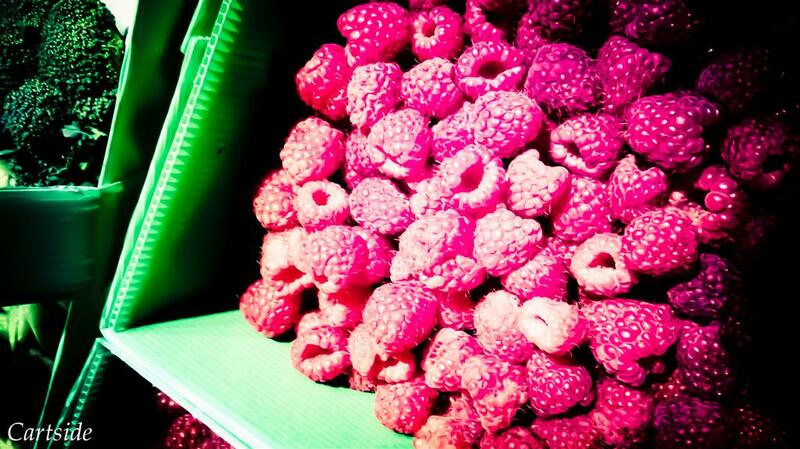 Fill jam into jars. A funnel is handy for this. If you have wax discs, put them on top of jam, seal with lid. Done. You may want to label or decorate with nice fabric, I'm lazy, esp if I do 4 batches in one night and finish at 1am, so mine look like this. 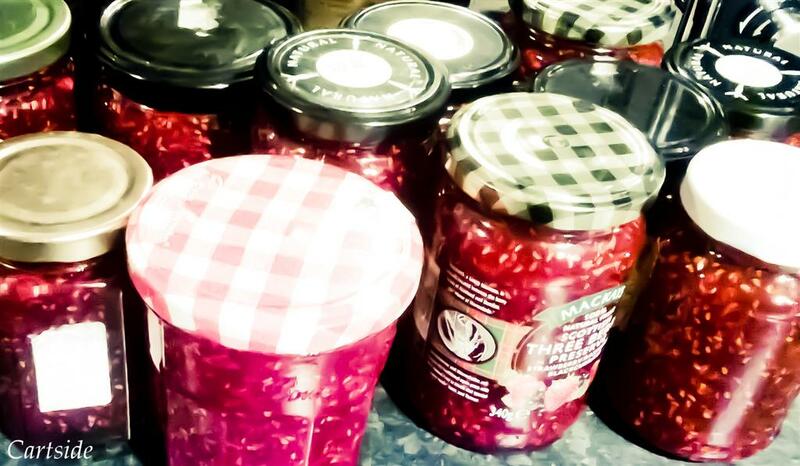 22 jars of jam, should get us through the year until the next summer. This summer, blogging has been mostly replaced by all things yarny. I've been trying to teach myself how to crochet for ages, with not much success, and a kick start a few years ago, when I went to a half day beginners course while wearing my newborn was great but there's not much time to concentrate on a new skill when you've just had a baby. A few weeks ago I sneaked in another beginners class which refreshed what I'd forgotten plus showed me the way avoid my rounds getting wavey and my squares triangular. But of course, beginners classes are great to get you started but you only really learn by practising it, and that's where life usually takes over with endless stuff that momentarily is more important thank picking up a hook and concentrating on the slow progress of a beginner. What can I say? 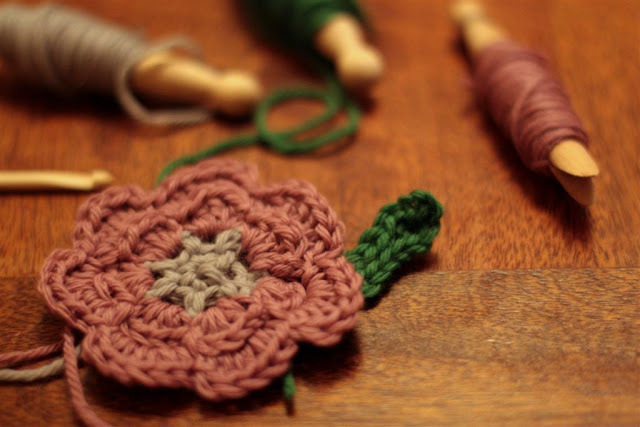 It's basically just what the doctor ordered, an online community of people right into crochet, from total beginners to what I would say advanced masters of the hook (some creations look super advanced to me but what do I know? ), everyone is super supportive, brought to you by Kat Goldin, crocheter and designer extraordinaire. 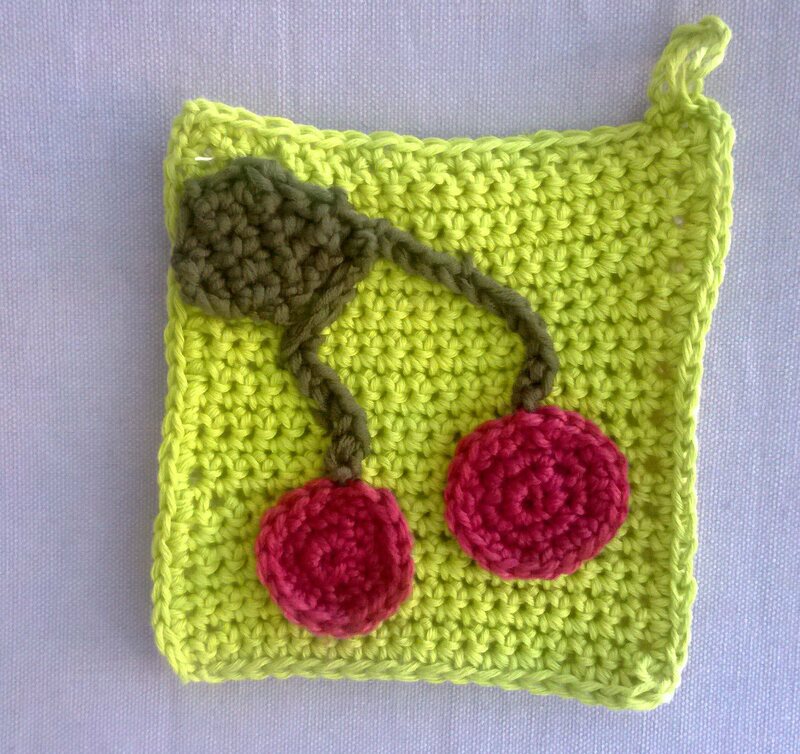 There is something that really works for me, no longer have I got to trail across the city to find a crochet group or work myself through blurry youtube videos and still end up not entirely sure where to insert the hook. Instead, I can follow simple patterns at my own pace, be inspired by the more complex creations, but also able to step by step get more confident. Just being part of it motivates me to pick up the hook even when I'm shattered at the end of a day. Of course, it's slow progress, but because the camp is so successful and has now well over 1000 people, nobody is behind or ahead, as everyone works at their own pace and there's no pressure, just motivation to have something to show as well. I like the structure too, which is loose, but following the weekly patterns gives me something to work towards which is doable and takes away the difficulty of choice (when you have to choose THE pattern you want to tackle next amongst the thousands that you could be doing from a book or ravelry). It's a bit of "just do it". And if you get stuck, you can ask a question and your problem will be sorted in minutes. 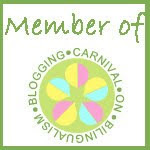 This week there's a show and tell on Slugs on the Refrigerator, which in turn got me blogging again to show off (ahem) my first crochet creations. I'm still learning but I can see it falling into place and I totally understand now where I went wrong in my first projects. 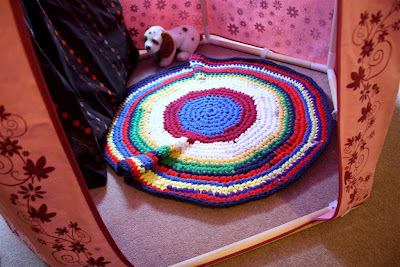 My first ever project was a t-shirt yarn rug. Wavey (and I frogged the first attempt because it was even wavier) but still treasured in the castle den by the girls. 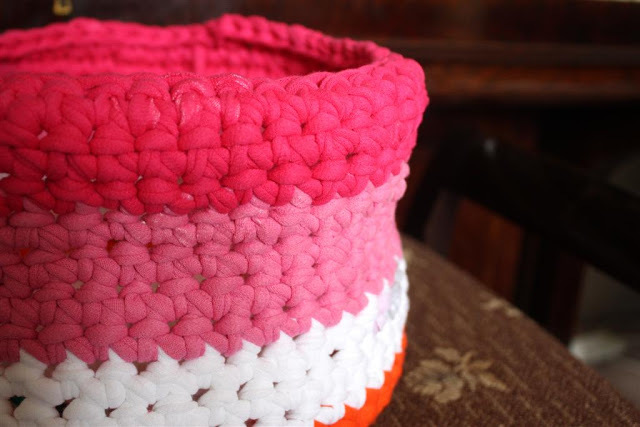 Second, a t-shirt yarn basket which is actually not bad, and I plan to make more of these as they are extremely handy. Next, a crochet flower, done just after Kat's crochet beginners lesson that I attended. This is also the current project on Crochet Camp. And finally at Crochet Camp, a potholder, and a bag in progress (I also made my first granny square but the yarn is dark and not very exciting). I finally no longer feel that I'm holding the yarn in the wrong hand (strangely, although I learned to knit from my (German) mother, she taught me the "British" way), and I can work myself through a simple pattern now (haven't tackled charts quite yet). What's great too is that my kids love the colourful creations, much more than they like my knitting, so I've got a feeling that this bag won't be mine. Or maybe I'll have to make 3. 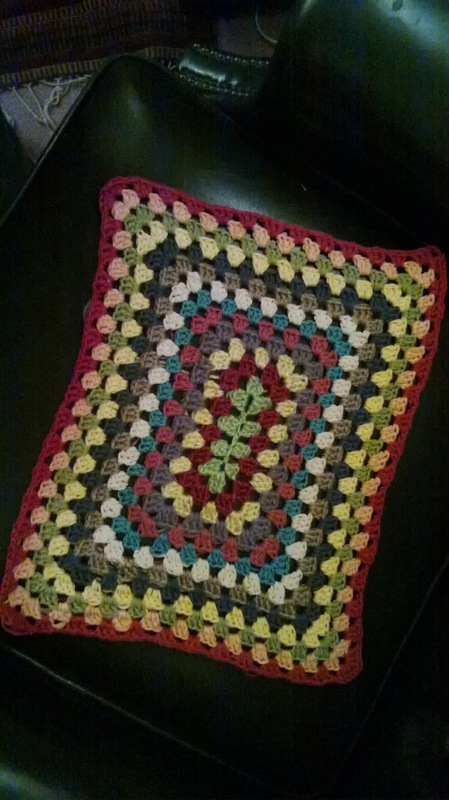 I've definitely reached the point where I'm dusting off my crochet books and feel at home with the hook, rather than throwing it in the corner in frustration and returning to the needles as I used to do every time I tried to crochet. Now onwards to tackle some charts, and have a closer look at the details that so far didn't bother with. Above all, I'm looking forward to finally tackling some of the project that have been tempting me for years. When asked if I'd be interested in reviewing the Plymouth Touch Control Lamp, my first thought was, probably not. But I was curious and had a look. And how glad was I that I did! I instantly liked the design of the lamp. I may not be a design expert but I usually know more or less instantly what I like and the Plymouth Touch Control Lamp definitely ticked my like box. welcome change from the usual boring black plastic.It gives the lamp a warm and cosy appearance, it's stylish without showing off in any way. It would look equally well as a bedside lamp or a desk lamp, we've opted for the latter simply because the colour didn't quite go with our bedroom colour scheme, and I quite like the combination of our second hand find of a solid wood desk and the aqua colour of the lamp, they're clearly made for one another. 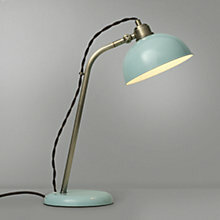 Moving to the practical aspects of the lamp - it is just the perfect size for a desk. It's operated by touch sensors which cover the whole of the lamp - so no looking for a switch or trying to touch it in the right place, it's incredibly easy to operate. There are three levels of brightness which have a great range, from a very soft and warm light that still gives enough brightness to read, to an astonishingly bright setting, considering the bulb range is only 20-28W. The lamp head can be adjusted through a simple and solid key which allows movement of the angle in two directions, and provides good flexibility. It's also not easy to knock the lamp over as it's sturdy enough to resist minor knocks. All in all it's a beautiful and functional lamp that adds a special tough to any room. At £65 I'm pretty sure it provides good value for money, and it's certainly made me have a closer look at the lighting range that John Lewis offers, there's no doubt that our lamps and lights could do with a bit of upgrading. Disclosure: I received the lamp to review plus some John Lewis vouchers and the views expressed in the post are from the Mummy do that! household.